Our Android device collection has officially begun! 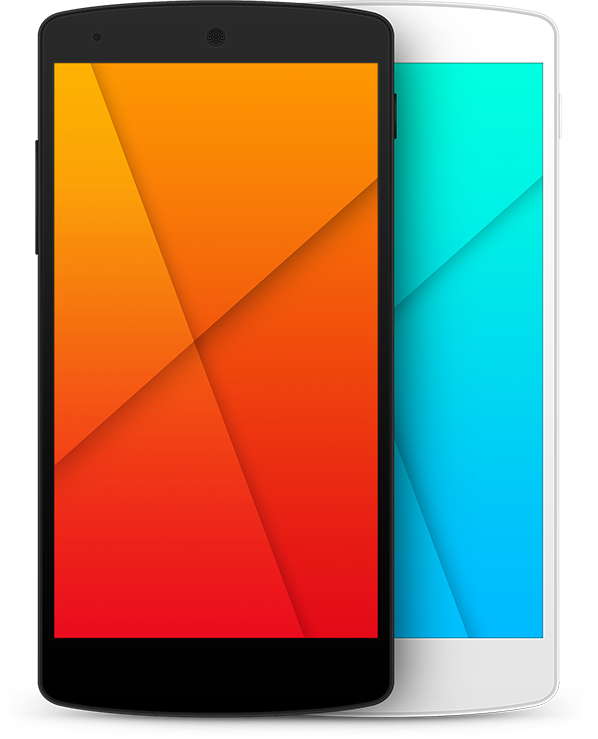 We couldn’t think of a better device to start with than the Nexus5, and it’s looking great. This new phone by Google and LG hasn’t been released yet, but a screenshot of the design was leaked earlier in the week! Personally I am looking forward to purchasing this beauty when it’s officially released. We’ve even given the option to use a white version of the phone if it so happens to fit your design more appropriately. As always, the templates are completely vectored and scalable for any of your sizing needs. 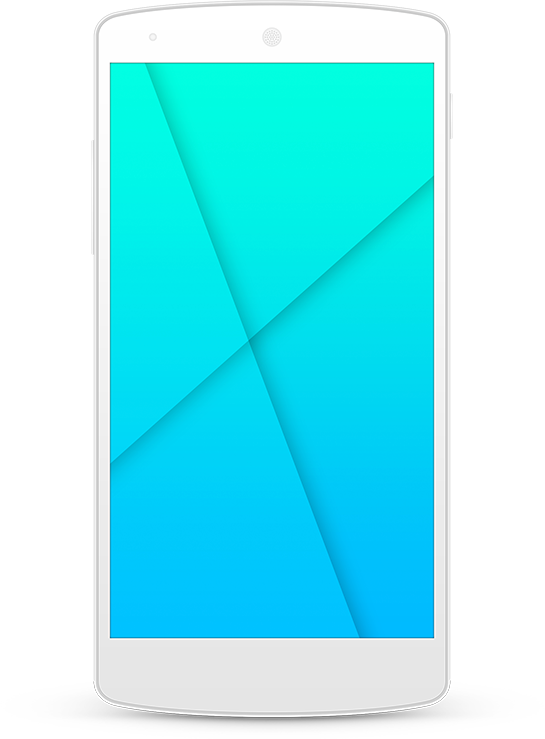 Directly below is an actual size preview of this device, perfectly made for a Nexus 5 screenshot. The contents of the screens can easily be replaced by any image using an editable shape layer. The image is automatically re-sized and skewed to fit the screen perfectly! These Templates are released as Open Source under the GPL (GNU General Public License) 2.0. Enjoy them and use them for whatever you’d like (commercial and personal projects alike, no attribution is required). 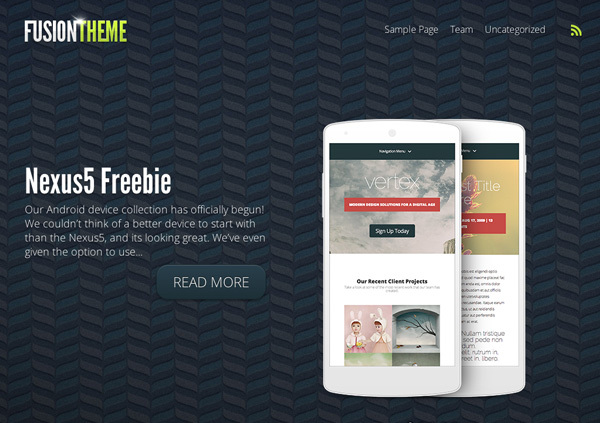 There are many great ways that these templates could be used in your WordPress website. 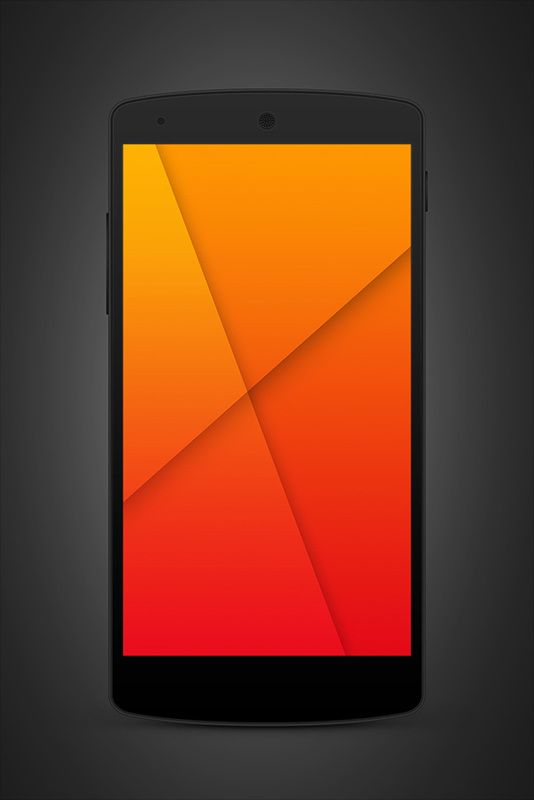 Here are some examples of how these Nexus 5 smartphones might be integrated into the image areas of our Fusion and Origin themes. 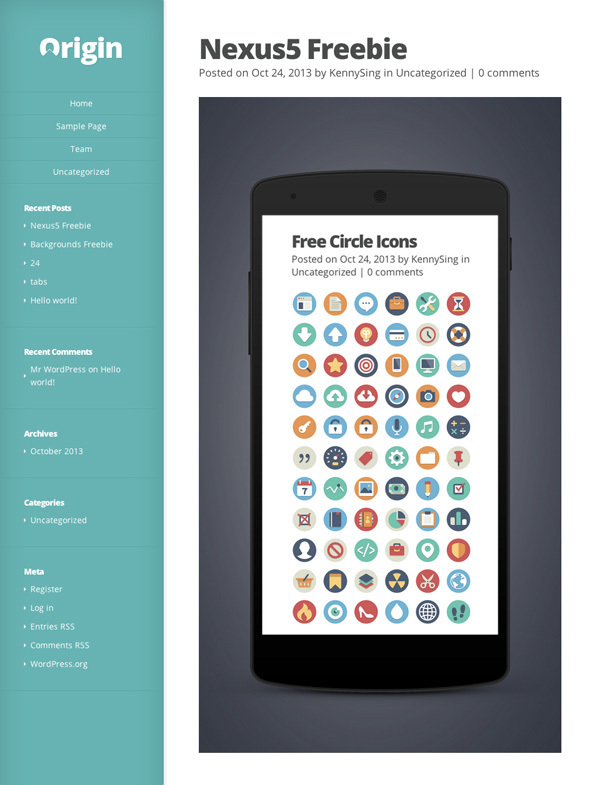 Love to see your initiative on the Android devices! Keep up the good work ET! Wel almost got Galaxy S4! The Nexus 5 is going to be an absolute weapon! … affordable of course, & with immediate updates. I am a bit biased though … going from iPhone to Nexus 4. Great work Elegant Themes for supporting & innovating ahead of time! Merci pour ces ressources, je garde dans mon disque dure. I wish I was as up to speed on photoshop as everyone else here, but alas I am not. I have download all the psd files here which as expected look amazing and will clearly help out, BUT I need a simple tutorial on how to edit these. I don’t know what to search for in order to find the tutorial, so if someone can reference a link where I can study up on just how to do this that would be much appreciated. Obviously photoshop & editing is a whole different world. There are many great tutorials on youtube & vimeo. Search for editing images for websites, or editing psd files etc ..
Do you have Photoshop, is that the platform you are going to use? How do you want to edit the files? You can just open the files in photoshop & then the world is your oyster … you could do practically anything to your files. 1) right click psd file & click open with, 2) you could open your editor & then drag you psd file into the work area, 3) you could open photoshop & then file open (file) in the main menu & find the file you want to edit. PSD files are just a direct, high quality format that works in photoshop. When saving your image there are different options for smaller file size, ‘save for web’ for example will point you in a good compact file size direction. Welcome to IT & website world … there are a multitude of different processes with large learning curves if you want to get complex & really good at what you do. Though you should be able to easily perform basic tasks in no time with a little guidance. Hi Chris, thanks for the prompt response on that. I have CS5 on my mac. I am aware that there are millions of options with that program and books upon books of tutorials and techniques. I have made it quite far in the IT world and web development world without using CS5 personally. When I open these files I thought it would be as simple as a drag-and-drop of another opened image into the “template” area. Boy was I wrong. I suppose beginning a google search for “How To Edit PSD templates in CS5” may at least get the ball rolling. Actually Chris that isn’t a vague question at all, quit being a prick know it all. A person can know a lot about photoshop and not know how to use these PSDs. How was he being a prick? He helped a lot more than you did. There is a layer in the psd that’s labeled red and named “YOUR SCREEN HERE Double click layer icon to EDIT”. This is a Photoshop Smart Object. To get into the “template area” to simply drag your image into the screen you will want to double click on the layer icon. Here is a link to Adobe’s Smart Object explanation. Thanks Kenny – worked perfectly for me! That’s exactly what I was looking for. Lovely stuff. Cheers to ET team. Muchas gracias por estas plantillas que nos regaláis… ¡son buenísimas! Thanks for this but I don’t seems to get around any of these templates each time I download them. All thos you posted Nimble et al for wouldn’t just open…showing invalid image! MUCHAS GRACIAS POR ESTA PLANTILLA ME HA SERVIDO DE MUCHÍSIMAS UTILIDAD. SIGUE ASÍ Y BUENA SUERTE EN TU HABILIDADES COMO DISEÑADOR. thanks… i like this design……. That’s great themes. Thank Nick! i think its not only about nice design, but also have a great affect for ads. Awesom, this very nice themes. Not only design but ads placement to.